As part of its investigation into possible ties between Russia and the Trump campaign, the FBI reportedly obtained a secret FISA warrant last summer to monitor the communications of President Donald Trump’s former campaign adviser, Carter Page. No criminal charges ever arose as a result of the FISA warrant, the report said. Page is the only American to have his communications targeted by a FISA warrant in connection with the Russian probe in 2016, officials told the Washington Post. 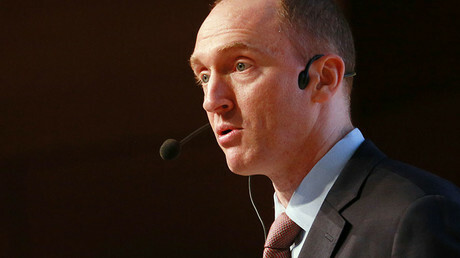 Three years before Page became Trump’s campaign adviser, he had come to the attention of FBI counterintelligence agents when they learned that Russian spy suspects had sought to use him as a source of information, the Washington Post reports. The application claimed that Page had been in contact with Russian spies since 2013, connecting Page with Victor Podobnyy, a Russian citizen the US Justice Department has accused of being an agent of Russia’s Foreign Intelligence Service. Page said the information he provided to Podobnyy as “basic immaterial information and publicly available research documents,” according to the Associated Press. The Washington Post also cited the infamous “golden showers” dossier compiled by British spy Christopher Steele, which Page dismissed as “the dodgy dossier.” Page asserts the document’s claims that he met with Igor Sechin, a confidant to Russian President Vladimir Putin, are false. The 90-day warrant has been renewed more than once since it was issued, officials told the Post. In February, Page told PBS NewsHour that he had been “a junior member of the campaign’s foreign policy advisory group,” but said he had not had any meetings with Russian officials within the past year. The Post also brought up Page’s July trip to Moscow, where he gave a speech criticizing US policies toward Russia, but Page no longer worked as a foreign adviser to the Trump campaign by that time. “I have done nothing wrong. I have no concerns,” Page said. Page has also asked to testify before Congress to clear his name.